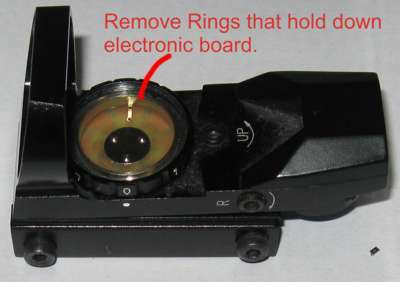 Modifying a reflex scope for use with Night Vision Equipment. 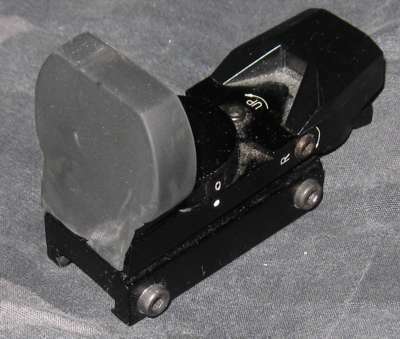 But a normal civilian model would burn the NV tube with excessive brightness - remember, these reticles are bright enough to use during the day. 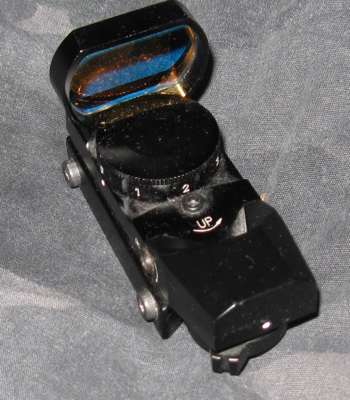 It's possible to modify the electronics within a reflex sight to allow use with a wide range of NV equipment. 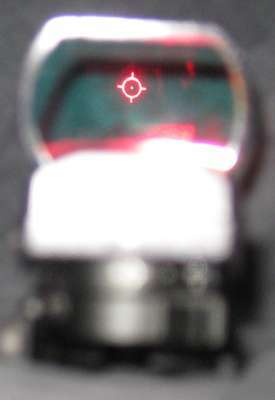 The trick is to reduce the power to the LED that drives the reticle. 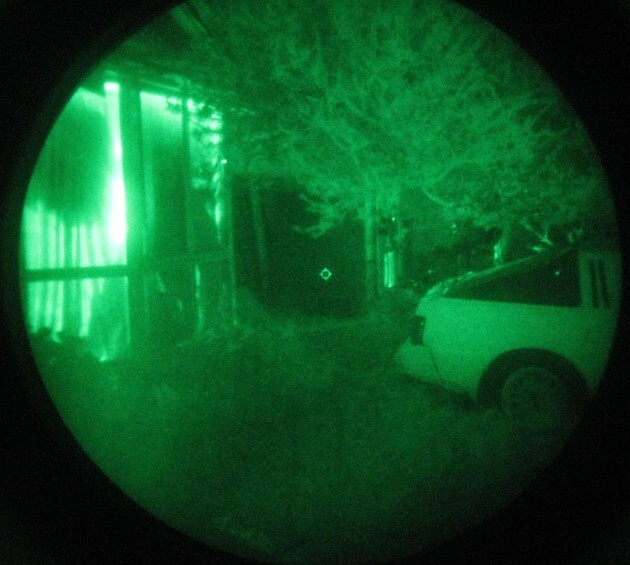 You will still want to be able to use it during the day, then at night you can adapt your monocular to sit behind the reflex sight and give you NV capability. 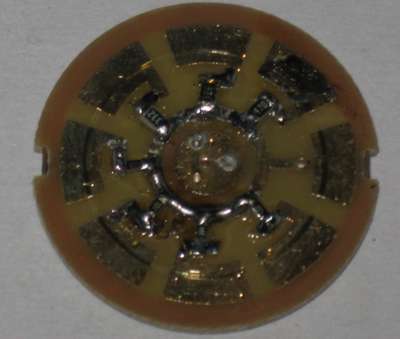 Take the battery holder off the top and you'll see a locking ring holding down the circuitry. 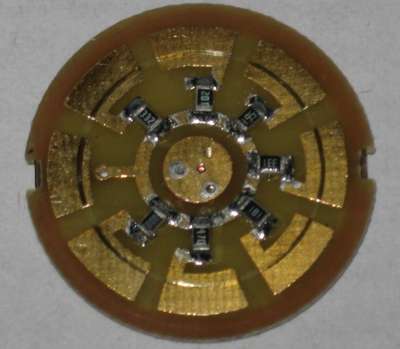 Unscrew it and the guidance ring ( notice the slots line up ) and you'll find a circuit board that pops out. Take note of the resistor values. They have a three digit ( or sometimes a fourth digit ) number. The last digit is the multiplier. 000 = 0 ohms. 181 = 180 ohms ( 18 with 1 extra zero ). 332 = 3300 ohms. ( 33 with 2 extra zeros ). The higher the number, the duller the reticle. I take it you've already chosen your three daytime settings if you have a 7 setting wheel. If you're good, you can desolder them and put them back in the top three slots. 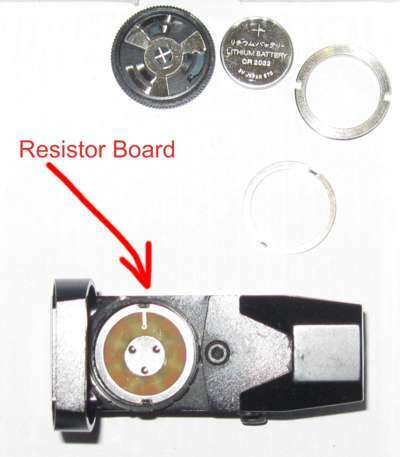 Otherwise, you will need to desolder them all and get some higher resistances to install in their place. Now put new resistors in. NV resistors will need to be between 50K ohms and 1M ohm - That' 503 and 105 in terms of Surface Mount numbers. Beneath when this fits you will see two contacts. If you don't have the skills to solder in new surface mount resistors, you can just solder a 500Kohm pot to the contacts with 2xAA batteries in a holder. Messy, but works. Better to put new resistors in. I only had miniature SM resistors, but extra solder fixes that. I used 47K ( 473 ) 100K (104) 330K (334) and 1M (105) This gave me four NV settings. The results speak for themselves. Easy to install, just a quick re-assembly and it's all good. In retrospect, 1M was a little too high - It's nearly impossible to see even with NV, but the others are perfect. Three good NV settings. Anyway, I got real cheap on this. $22 for a reflex sight, $0 for the resistors ( desoldered them from an old motherboard ) and 30 minutes of my time. And how does it work? Not bad. It's a LOT cheaper than a few thousand by several orders of magnitude. Great modification, thanks for posting! So often the mods that are posted on the web don't go into enough detail for guys like me who don't have a good background. Real money and time saver. Great project. You're a bright guy. Post a piccy of your setup, how does your nv attach to the reflex? The Reflex Scope has to be placed in front of the NV sight, so that the NV sight can look through it. This includes using something like a mount arm for the PVS-14 and similar, through to simply mounting your scope low enough to look through the aiming window. However if your scope sits on the rear of your rifle, space is an issue. I've seen it done very effectively with the M4, using the front rail on the handgrip and you can also get barrel-mounts to place a weaver rail down-barrel of your scope for the sight to attach to. 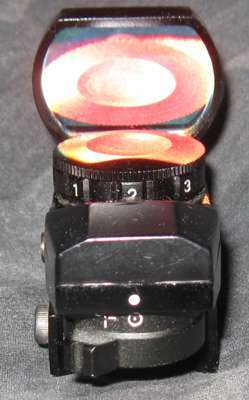 I hope to have some pictures of such a setup using a large cascade tube based NV scope in the near future. David.